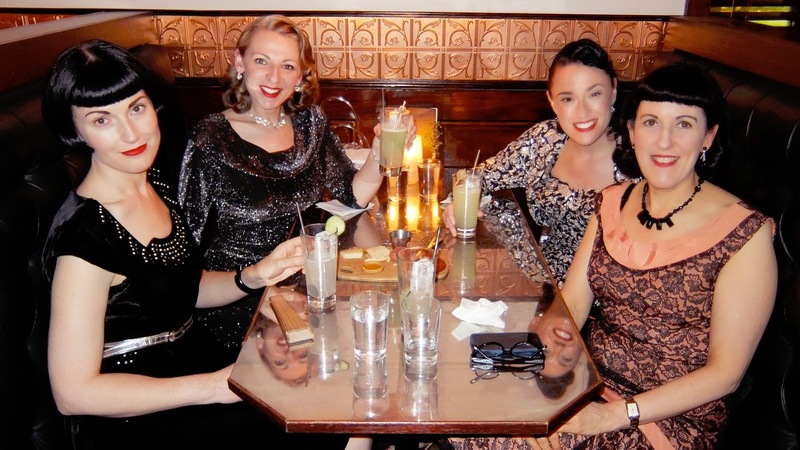 Last Saturday was ladies night, with some good old-fashioned cocktails at The Everleigh. 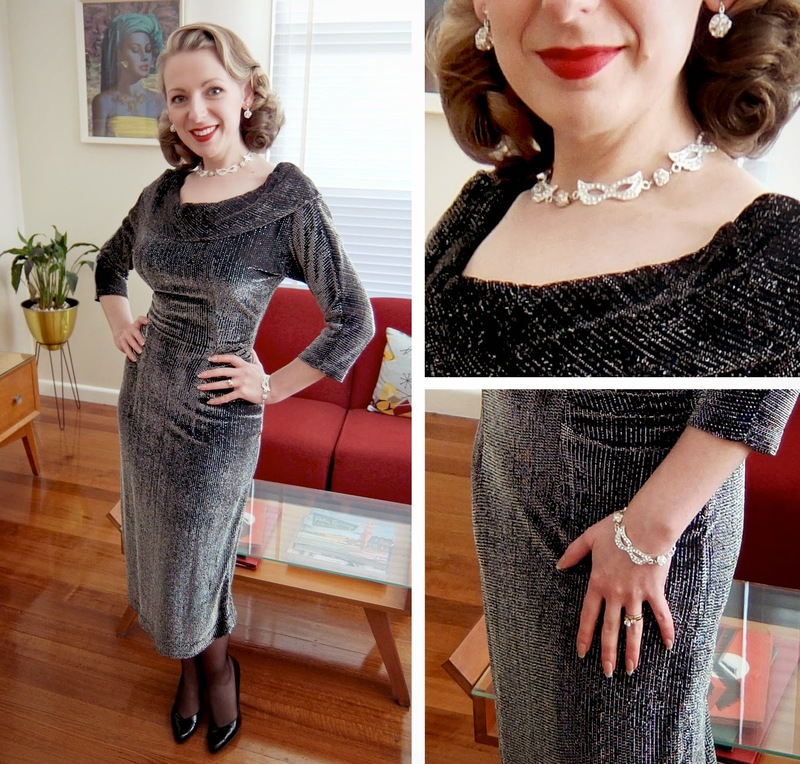 I'd never been there before, but I'd heard it's pretty fancy, so I decided to wear a black lurex dress and some new rhinestone accessories I've been working on. I like to test all my prototypes before going into production... 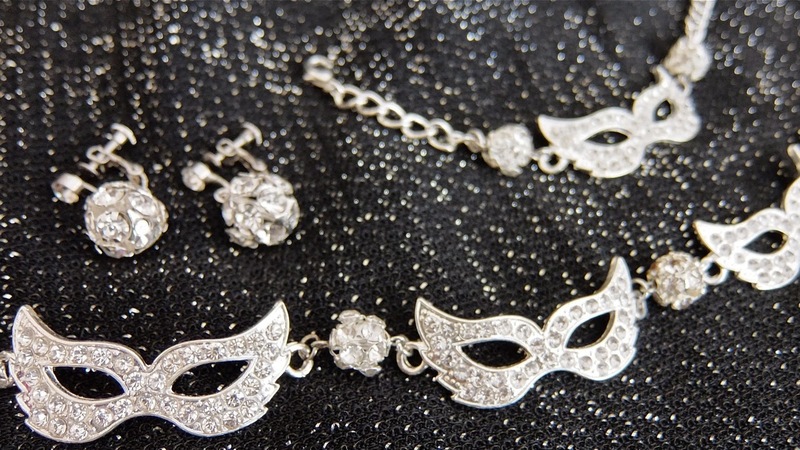 I'm thinking about doing these harlequin mask sets in time for Christmas! 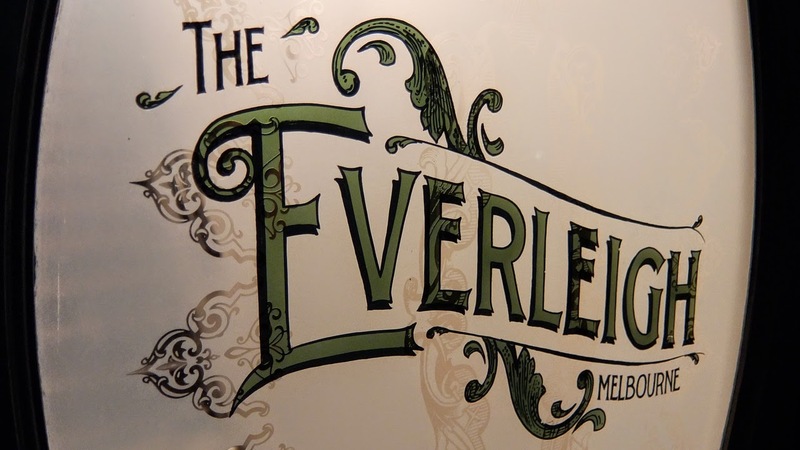 The Everleigh is a cocktail experience unlike anything else in Melbourne. 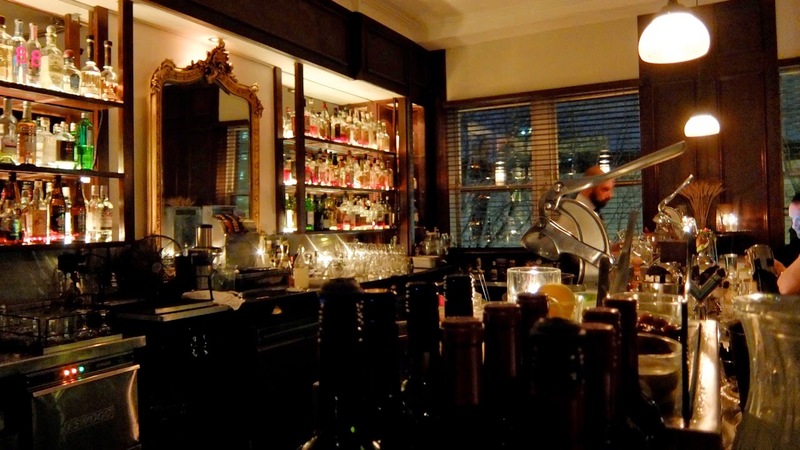 The surroundings are dark, luxurious and intimate, with leather booths and limited seating at the bar. 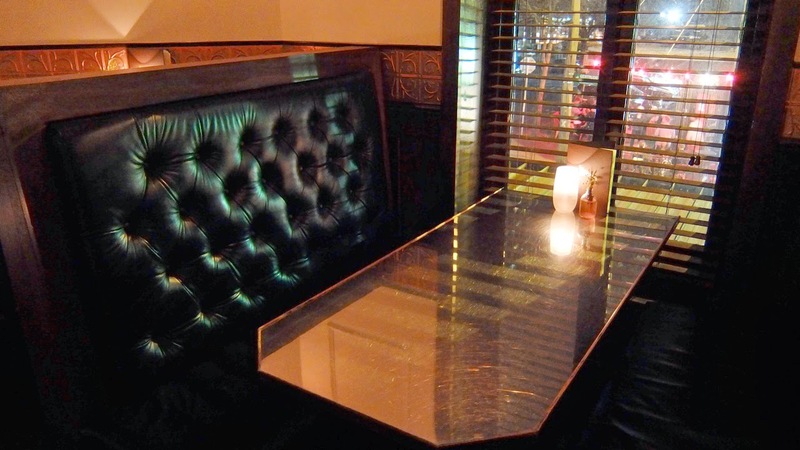 The booths accommodate no more than six people, so it's the perfect place to meet for some quality conversation with friends, or a romantic date for two. 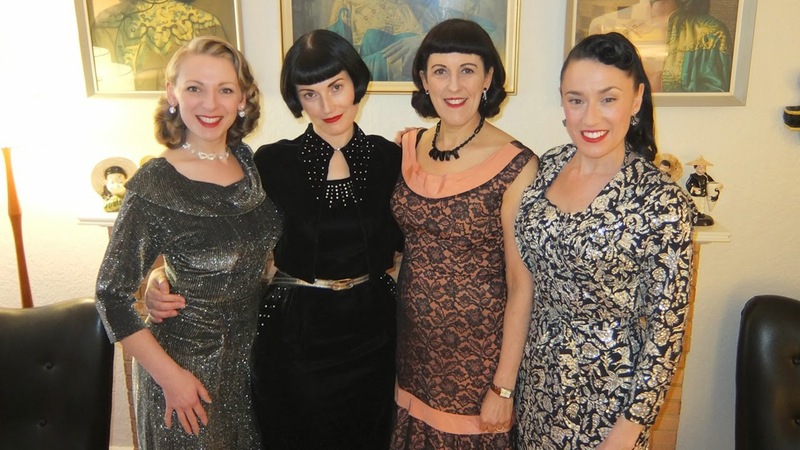 When we first sat down, we were surprised that the menu was quite small... But that's because the choice of cocktails is so vast, it would be impossible to collate. The menu is more like a 'specials board' and the real fun starts when your server approaches the table. All you need to do is tell them what you feel like, and straight away they'll come back with thoughtful, yet creative suggestions. "I feel like something refreshing, kind of like a Mojito." "Okay, do you like cucumber or ginger?" "All right - how about this drink that comes with this amazing thing and these other delicious things and some freshly ground ginger?" Then your drink comes out, and it's perfect. It's exactly what you never knew you wanted. 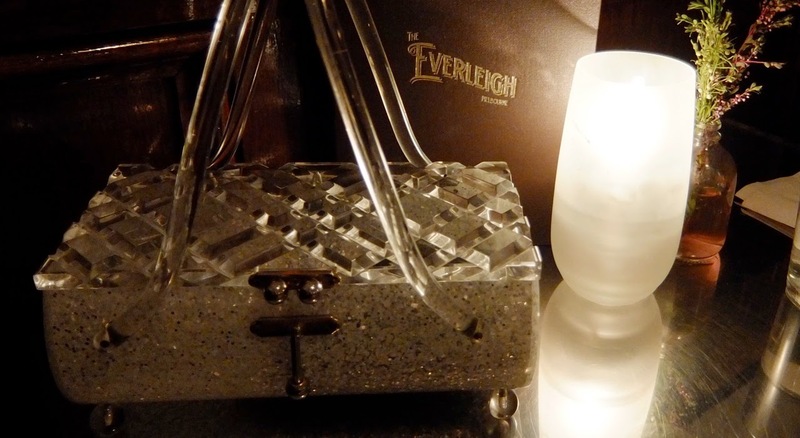 The only hard thing about cocktails at the Everleigh is knowing when to stop!